The steam whistle blew and rounding the bend of the Disneyland Railroad in Frontierland after an 18-month closure, was not one, but two steam locomotives coupled together - a historic moment for the classic Disneyland attraction. Even more historic was the fact that the two 3-foot gauge engines (the same gauge as the Disneyland Railroad) - the Marie E and the Chloe - were not part of the rail line's regular complement of five steam engines. Rather, they were engines once owned by two of Walt Disney's legendary "nine old men" of animation - Ollie Johnston and Ward Kimball. "They're the only outside trains to run on the Disneyland Railroad, making this true Disney history," said John Lasseter, chief creative officer of Walt Disney Animation and Pixar, as the trains made their run on Friday, July 28. Lasseter was the engineer of the lead engine, the Marie E, which he owns and once belonged to Johnston. Coupled to his engine was the Chloe, once owned by Kimball, but is now a part of the Orange Empire Railway Museum in Perris, California. Coupled behind the Chloe was a small passenger rail car that was once part of Kimball's Grizzly Flats Railroad. It, too, now belongs to the museum. Lasseter said the two men were largely responsible for Disney's interest in steam-powered railroads as a hobby. It was a hobby that eventually led Disney to build a miniature live steam engine that ran on rails around his home in Holmby Hills. "Walt had never conceived this before he saw Ollie's and Ward's collections. It combined his two favorite loves, trains and miniatures," Lasseter said. Called the Carolwood Pacific, the 7.25-inch gauge miniature railroad line, included a steam engine and several cars that Disney helped build. He would run it on weekends for friends and guests to ride around the outside of his house. 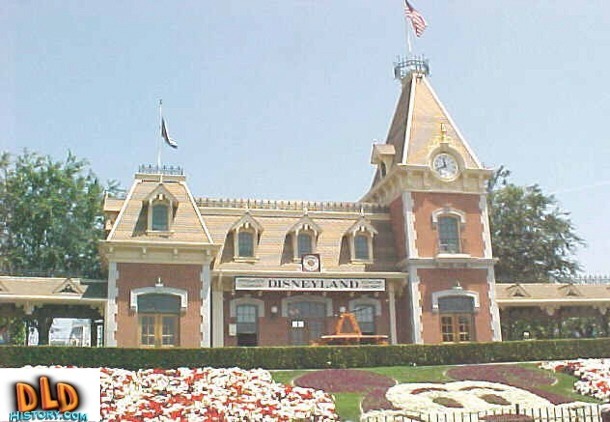 Disney's interest in railroads eventually led to his including them in his plans for Disneyland. "The railroads were one of the most important things to Walt. In fact, it was the first thing he put on the map of Disneyland - even when it was going to be up in Burbank," said Kim Irvine, senior art director for Disneyland with Walt Disney Imagineering. The museum was in the beginning stages of figuring out what is needed to refurbish the Chloe to running condition. The engine was undergoing a boiler test as the first step of that refurbishment at Hillcrest Shops in Reedley, CA. Lasseter heard it was there - the shops help with maintenance of the Marie E - and was thinking about having his engine at the reopening of the Disneyland Railroad when he had the idea to have both engines there. He got in touch with volunteers at the museum to see if it was possible, and they immediately got on board. After working out details with Disneyland officials, both engines were brought to the Disneyland Railroad Roundhouse a few days before the run on Friday, July 28, for testing on the rail line. "It was amazing for John to want to honor these two animators by having their engines on the rails of the Disneyland Railroad," said Ken Mitchroney, a volunteer working on the refurbishment of the Chloe at the Orange Empire Railway Museum. Mitchroney said the museum plans to continue its analysis of what is needed to refurbish the Chloe, then start a fundraising effort to pay for it. On Friday, after the train crossed the new trestle in Frontierland that is part of the new route for the Disneyland Railroad; a train pulled by Engine #1, the C.K. Holliday, followed with its passenger cars full of Disney characters. It marked the official reopening of the railroad and the Rivers of America, which had also been closed to boat traffic. The closures were caused by construction of the 14-acre Star Wars: Galaxy's Edge project, which is scheduled to open in 2019. It had meant that some of Frontierland was taken for the new land and forced a shortening of the Rivers of America and a new route for the railroad.